"We won North, we won South, we won in between." Barack Obama has accelerated brilliantly since December. At this time, one day after the February 9 primaries in Washington, Nebraska and Louisiana, the air of inevitability overhanging Hillary Clinton's campaign is gone. The development of the Democratic primaries is astonishing. How can it be that a black candidate can mount such a convincing campaign for the U.S. presidency? Starting from almost nowhere, as a first term Senator with a light legislative record, challenging a well-financed, well-organized, experienced and determined front-running candidate one might have thought he had no real chance. His campaign just a few months ago seemed attractive and charming, but everyone knew in his or her heart that it was a quixotic non-starter. Wrong. 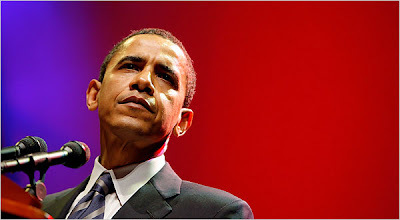 The most intriguing facet of the Obama candidacy, for me, is the extent to which he is moving beyond the race issue. Bill Clinton, to his shame, tested the racial waters in South Carolina by none-too-cleverly playing the race card, and it blew up in his face and damaged his wife's campaign. That was one indication. Another is that Obama did as well or better than Clinton yesterday (February 9) among white male voters. Finally, a CNN poll in early February has Obama ahead of McCain by 7 points. I would have thought that bias against Obama's race would clearly show in such a match-up, but it does not. Or, maybe it does, but it is not strong enough to overcome Obama's overall support. 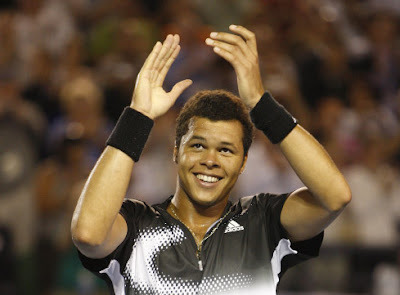 Tsonga, son of a Congolese father and French mother, demolished number 2 ranked Rafael Nadal in the semi-finals of this year's Australian Open, then lost in a hard-fought four set final match to number 3 ranked Novak Djokovich. Tsonga was unseeded in the tournament. Whether Senator Obama is leading the rise of bi-racial men to prominence and dominance or is himself simply riding a post-racial wave sweeping the planet is the interesting question. Whatever the answer to that question, the willingness to date of the American electorate to treat Obama as a true national candidate and not merely a minority candidate is some of the best news we have had in a long time. In a post to this blog some months ago I argued for a Gore-Obama ticket as the ideal solution to a Clinton-Obama deadlock going in to the convention in Denver in August. Just this week, the Draft Gore organization announced on its website that it was discontinuing its efforts to persuade Gore to come in to the race on the ground that it is now plainly too late for Gore to enter the primaries. There is no doubt about the fact that it is too late to enter primaries, but I have never thought that was Gore's opportunity. Gore should not seek the presidency; he should let the presidency seek him, and the scenario for such a draft at the convention continues to develop favorably. At this writing a Clinton-Obama convention deadlock is a strong possibility. The Democratic party, leaders and rank-and-file, will be very uncomfortable going deeply divided into the fall election. If the deadlock cannot gracefully be overcome, a turn to Gore could become inevitable.